Many years ago, when I was working at a marketing services company, one of our executives issued an edict that our company would, in the future, not accept any clients that billed less than $100,000 a year. It was one of his many pronouncements that seemed, to me, to make little sense. Although I was young, I knew enough about business to know the size of an account doesn’t determine how much money you can make from it. I was pretty sure that a small but profitable piece of business was preferable to a large but unprofitable one. This memory came to me yesterday when Diageo announced that it had ‘disposed’ of 19 brands by selling them to Sazerac. The portfolio includes several Seagrams-branded Canadian whiskies, some rums, some vodkas, and a bunch of liqueurs. Some are names you may know, such as Seagram’s VO, Goldschlager, Scoresby, Booth’s, and Myers’s. All are ‘cats and dogs,’ an industry term for small, low-margin brands with little growth potential. 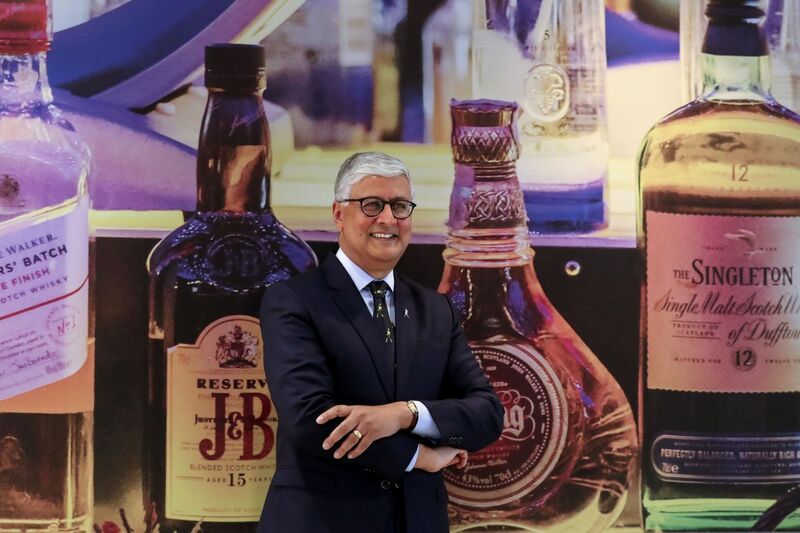 In the official statement, Ivan Menezes, Chief Executive of Diageo, said: "The disposal of these brands enables us to have even greater focus on the faster growing premium and above brands in the US spirits portfolio." In other words, the world’s largest drinks company can’t walk and chew gum at the same time. It can’t advance its most profitable segments while also making a healthy profit from the rest. Is that fair? Sazerac paid about $550 million for the lot. That was not an act of charity. Sazerac believes it will make money where Diageo could not. Sazerac has a massive portfolio of brands, probably the largest in the distilled spirits industry. Different companies and the managers who run them have different strategies. That doesn’t make one right or the other wrong. Unlike Diageo, Sazerac is privately-owned, so they don’t have to justify in public everything they do. Investors seemed to like Diageo’s move. Brown-Forman has long had a firm ‘no cats and dogs’ policy. Not long ago it sold Southern Comfort, a household name, because it wasn’t performing up to expectations. Beam Suntory and Pernod also unload brands they consider unpromising. Heaven Hill has always had a lot of cats and dogs, and still does, but it has not been acquiring more of them. Sazerac is not alone, but it dominates the segment. Most of its competitors are regional; Sazerac is everywhere. It is a tough business because margins are so tight, but especially when you are as big as Sazerac it tends to be less volatile than high-flying brand marketing, which is more like the movie business in needing blockbuster hits to offset inevitable big budget disasters. Sazerac doesn't shoot for the moon, although it hits it from time to time anyway, e.g., Fireball. This week’s news is one more strange coda to the Seagram’s story. Once the world’s largest distilled spirits purveyor, Seagram’s ceased to exist as a company 20 years ago. As a brand name it lives on at several different places. Diageo still has Seagram’s Crown Royal (Canadian whisky) and Seagram’s Seven Crown (American blended whiskey). Pernod has Seagram’s Gin. Sazerac now has Seagram’s VO, Seagram's 83, and Seagram's Five Star (all Canadian whisky). Coca-Cola owns the Seagram’s mixers (ginger ale, tonic water, etc.). Meanwhile, thousands of new brands are created every year, many by new, tiny companies. Thank you, distilled spirits industry, for keeping it interesting. With several companies now owning a Seagrams branded product, can any of them create a new Seagrams product? or is the Seagrams copyright a closed development? I'm not entirely sure about this, but I believe Pernod controls the Seagram's trademark. They can create new Seagram's products if they want to, probably subject to some limitations. Remind me... how many top Bourbons does Diageo distill today? Actually the use of the Seagram name is even a little bit more complicated. In addition to the spirits brands discussed in this post, there is a Seagram's Vodka produced by Infinium Spirits. But the Seagram name was removed from Crown Royal shortly after the brand was acquired by Diagio nearly two decades ago. Then there are the Seagram mixers (ginger ale, club soda and tonic) produced by under licence by The Coca-Cola Company. The packages for those products note: "Seagram's and the Seagram Crest Design are registered trademarks of LDI (Cayman) LTD and are used under license". Who might control LDI (Cayman) LTD and collect the royalties for use of the Seagram name is an interesting question. I have zero inside info, or particular knowledge, of this deal. But I have a hunch it's going to work out for both companies. I'm not suggesting keeping, or ditching, "cats and dogs" is the right strategy. But it seems to me, if you aren't going to support a brand, you might as well get rid of it. Why waste resources on something you have no real interest in? VO is one whiskey I think has been underserved, in recent times. Possibly because I grew up in Niagara Falls, I've always had some interest in Canadian whiskey. VO was always considered in the same breath with Canadian Club and even, to some, an acceptable Crown Royal substitute. Now it seems to have been mostly forgotten. And I love many of Heaven Hill's cats and dogs. LDI (Cayman) LTD is, I believe, the paper-only subsidiary of Pernod that owns the trademark. I believe it's own name is a historical artifact of how the Seagram's empire was spilt up, which ties in with everyone's favorite contract distiller, MGP. The former Seagram's plant in Lawrenceburg, Indiana, still the place that makes 7 Crown and Seagram's gin under contract to Diageo and Pernod respectively, went to Pernod in the split, but they then flipped the plant, by then known as "Lawrenceburg Distillers Indiana", or LDI for short, to CL Financial, a Trinidadian company which also owned the makers of Angostura bitters (which are made in Port-au-Prince), seeing little potential for future growth, and began the outside contract distilling that has defined the place since. However, shortly after, CL Financial collapsed in the 2008 Great Recession, and its distressed assets were rescued by the Trinidadian government, which sold the plant to MGP, who own it to today. Note the former LDI name though. Seems pretty clear to me that somewhere Pernod incorporated a subsidiary in the infamous tax haven of the Cayman Islands to hold some of these assets acquired in the Seagram's split, and that tax shelter subsidiary is still the technical owner of the Seagram's trademark. One further aspect of having the logo trademark, etc. held by a Cayman islands subsidiary is that it allows for some nice tax evasion/avoidance (what to call it depends on how you view the distinction between breaking the law and having the law re-written to your advantage and the public detriment) angles. Since LDI (Cayman) holds the trademark, Pernod can set their taxable profits to whatever level they find most advantageous with any excess being laundered as licensing fees to LDI (Cayman) for the use of the trademark. It will be interesting to see if Sazerac does anything to try to revive the Seagram's V.O. brand or just continues riding it down as Diagio has done. V.O. was a top shelf brand for decades after Prohibition ended. Seagram spent heavily promoting it and as late as 1990 it still sold more than 2 million cases annually in the U.S. and was in top ten selling brands nationally. Diagio put all of its marketing efforts behind the higher priced and higer margin Crown Royal and apparently had no interest in promoting another Canadian whiskey. It seems that the usual marketing plan for "cats & dogs" is to spend nothing on marketing with the assumption that the people who drink the brand will continue to drink it but that that consumer base will eventually age away over time. That seems to be why so many brands move from being something that you drink to being something that your father drinks and then to being something that your late grandfather used to drink. All the while the brand loses consumers, shelf space, retailers and distributors and finally fades into oblivion. That is what happened to the American blended whiskey brands. It is hard to believe now, but that was the largest market segment by far in the U.S. around the middle of the 20th century with Seagram's 7 Crown alone accounting for ten percent of the entire U.S. distitlled spirits market. Now it is the only brand of American blended whiskey that can still be regularly found at retailers and bars. The entire category of American blended whiskey might now account for less than one percent of the total U.S. market for distilled spirits. I'm very interested to see what the company does with V.O., 5-star and 83. I grew up in Manitoba, Canada (home of the Gimli distillery which produced all three products for a while) and V.O. and 5-star were dominant whiskies from the 70s to the late 80s. Every kid in the early 80s will remember pulling the plastic star off their dad's 5-star bottles and using them as either sheriff's badges or ninja stars. V.O. and 5 star were my dad's preferred whiskys with 5-star being the standard and V.O. being the "good stuff". I actually tried a new bottle of 5-star a couple of years ago and was surprised how good it was for a distinctly non-premium product. Not saying it was a great unrecognized whisky but it wasn't bad at all. My hope is that with Sazerac now operating the Old Montreal distillery they will bring their production in house and use the three "Seagram" brands to launch an solid upmarket Seagram Canadian whisky line. Their current lineup of Canadian whisky is almost all bottom shelf stuff or brands that are hard to find and have a limited following.